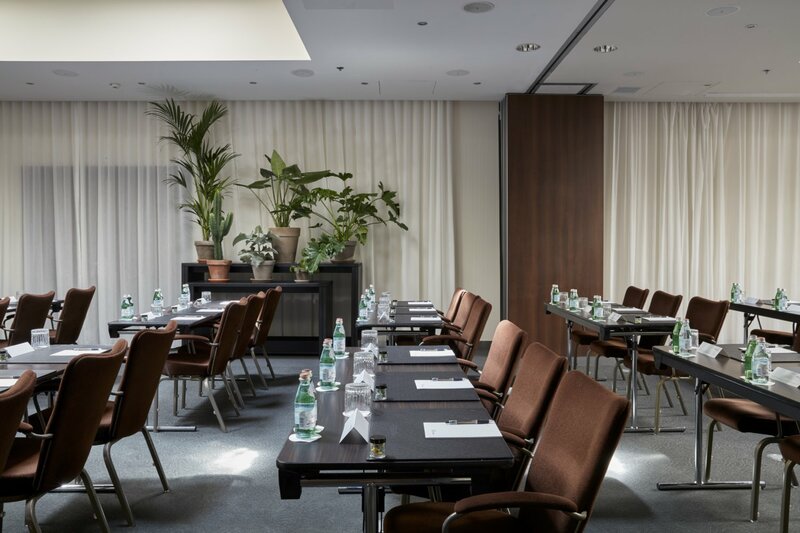 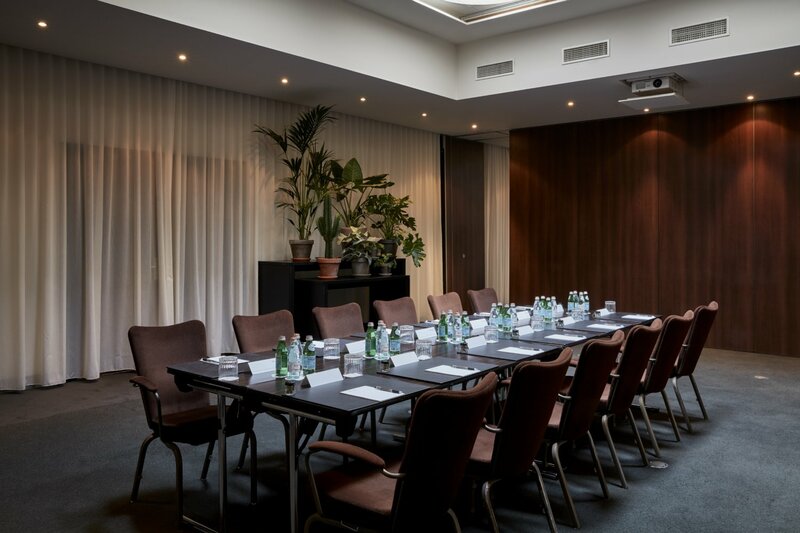 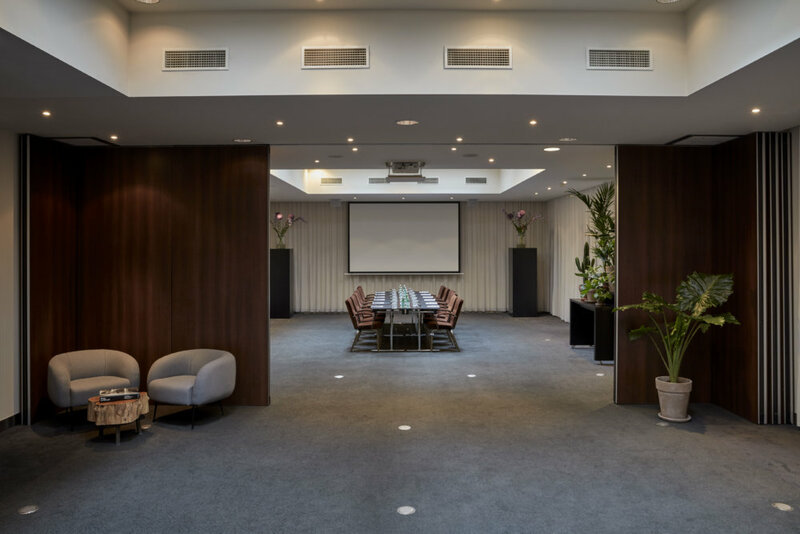 This event room is equipped with cutting edge audio equipment and can accommodate 130 delegates in theatre seating and can handle 80 people for a banquet style dinner. In addition, it is possible to divide this event space into two sections. 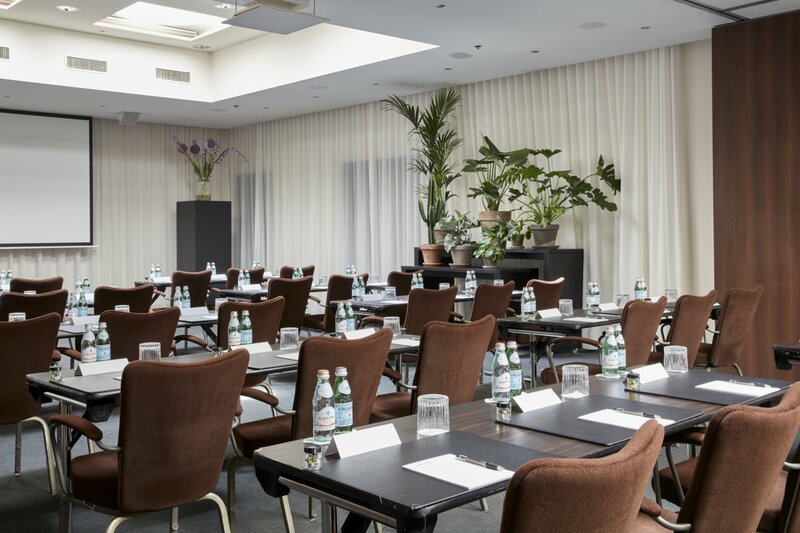 The facility’s unique ambient light option enables the colour of the room to be changed to fit the mood of the event, while the arrangement of the room can be adjusted to the needs of your personalised event.